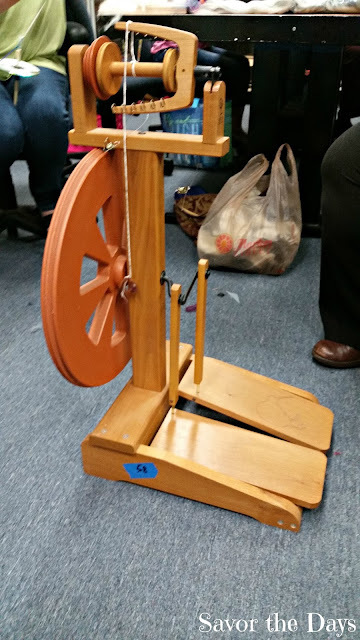 Rachel and I took a class at Dallas Makerspace on using a drop spindle to spin our own yarn. We learned about different types of fibers that you can spin, how to care for the fibers, and different ways to spin. 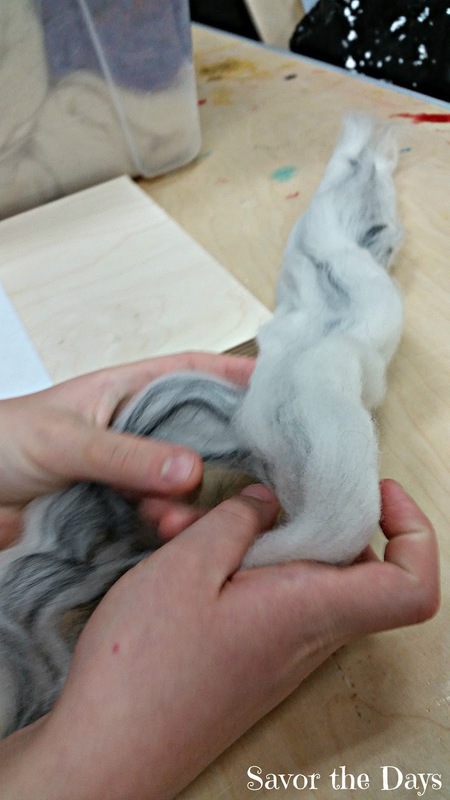 We started with separating the fibers into more manageable size. Then we pre-drafted the fibers so they are pulled out and thinned a little and make sure all the fibers are going in the same direction. We used a easy to make drop spindle made with a dowel, old CD, and a hook. 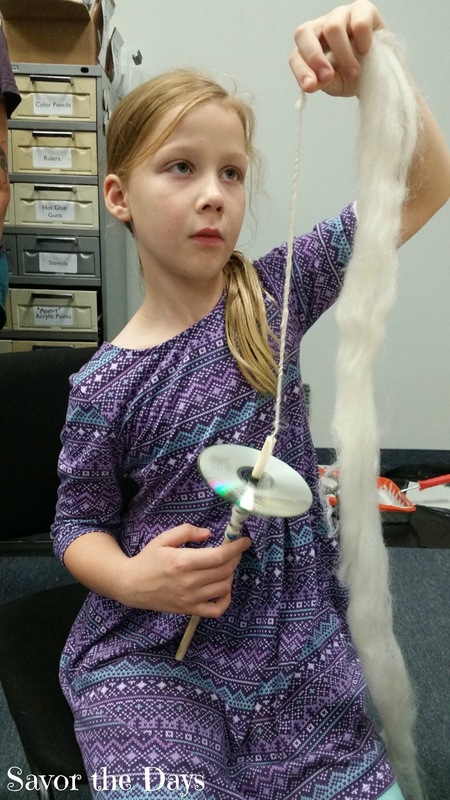 Rachel learned how to draft the fibers and spin them on the spindle. She was so excited to learn this new skill! We also learned how to use a spinning wheel but we weren't actually brave enough this time to try it out. Maybe next time. The fiber arts group gets together every Tuesday night to teach a class, help newbies, or just work together on various projects. We usually spend our time at Dallas Makerspace using the 3D printers but I've been trying out new activities there and it just makes me excited to learn more! Check out my recent tour of Dallas Makerspace.